I love bone broth and encourage everyone to strengthen their bone, tendons, and ligaments as often as possible. If you’ve been reading this blog you know I can’t do a lot in the kitchen with my dominant hand’s wrist in a cast for over a month now. I’ve been drinking the bone broth I had made ahead and put in the freezer. I’d also been buying chicken and turkey bone broth and making my Hot Buttered Bone Broth. I’m trying to drink it daily. (I also send it home with Ger!) But I have to tell you – I’m tired of that. I miss my homemade beef bone broth and my soups that incorporate it like Sweet Potato Bone Broth Soup. So, I went to the mountain. 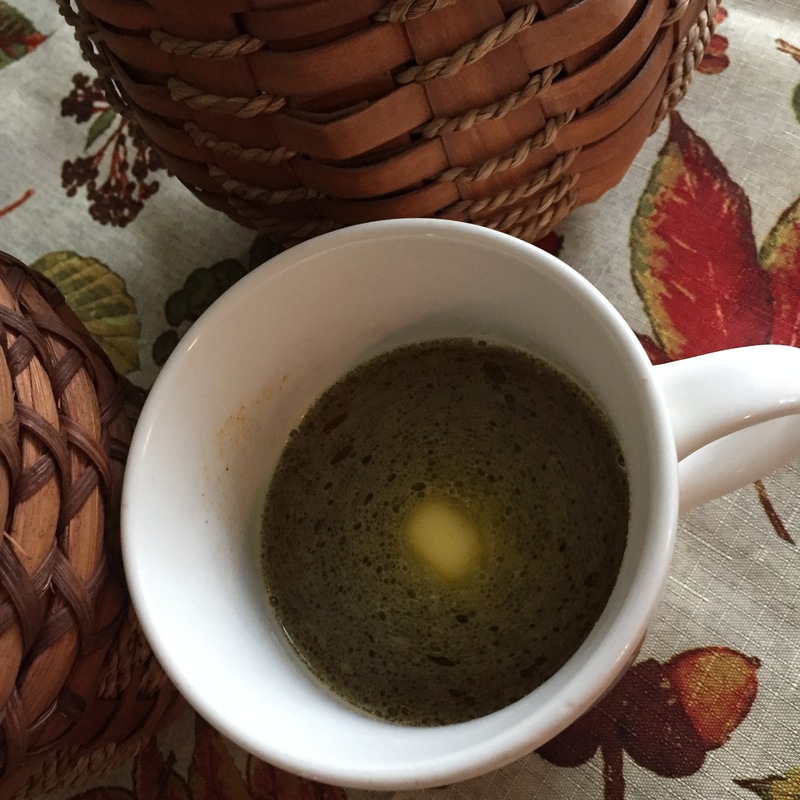 (Google) I noticed a lot of great reviews of the grass fed beef bone broth from bonebroths.com. (update: They’re now called Kettle and Fire. The link takes you there) I also remembered seeing them on Instagram so I decided to try them out and this broth got here quickly. It was deep flavored and delicious. I love that they use grass fed beef bones and organic vegetables. Then I poured it into a coffee mug and thought about what a nutritional powerhouse it was while I enjoyed it. I’ll be buying this stuff again soon. You’ll have to try it and see for yourself. 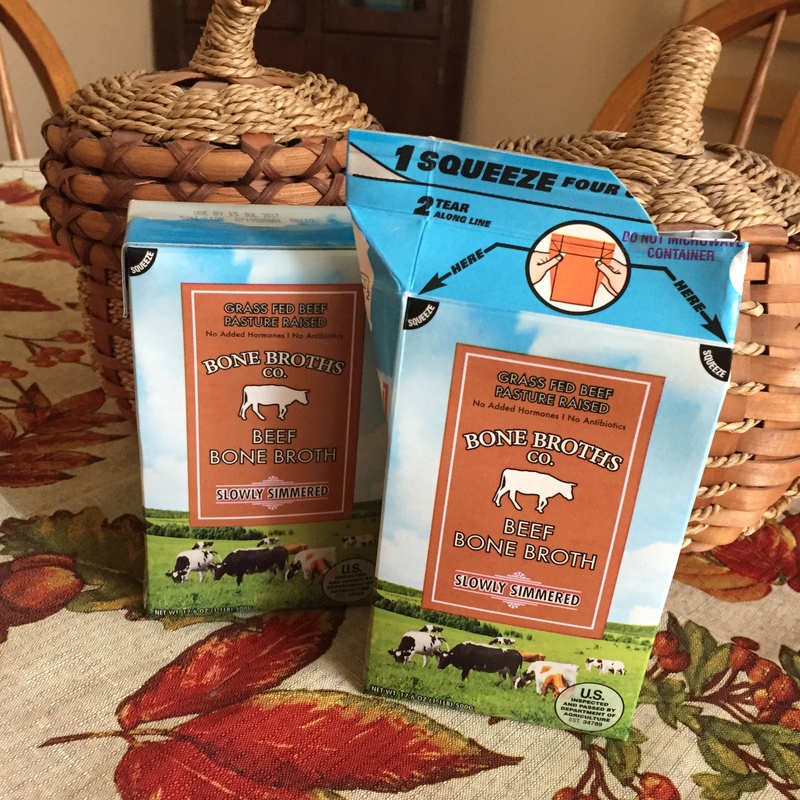 Grass fed beef bones and organic vegetables are used in Bone Broths Co bone broth.